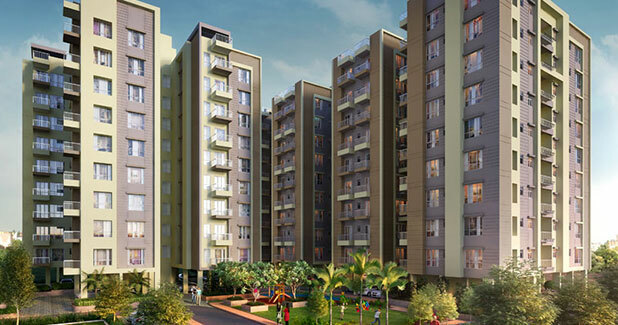 Details: The project is coming up at Kahilipara in Guwahati spread across 6 acre of land. The project offers 10 towers with G+5, G+8, & G+9 floors, having 350 units of 1, 2, 3 & 4 BHK apartmets. Apart from the basic amenities, the project offers swimming pool with changing room and steam & jacuzzi, creche, children's play area, wi-fi zone, library, gymnasium, AC multipurpose community hall, banquet hall, landscaped garden, jogging track, amphitheater, badminton court, basketball court, etc.